Curb Chains massiv 925 Sterling Silver! with a lobster claw clasp, rounded edges, brightly polished surface and rhodium-plated. with a lobster claw clasp, diamond covered edges , brightly polished surface and rhodium-plated. with a bolt ring clasp, rounded edges, brightly polished surface and rhodium-plated, also sutable for pendants . Curb Chain lenght 90,0 cm with karabiner. A elegantly chain A heavy chain for men and women..
Curb Chain lenght 40,0 cm with karabiner. A elegantly chain A heavy chain for men and women..
Curb Chain lenght 80,0 cm with karabiner. A elegantly chain A heavy chain for men and women..
Curb Chain lenght 70,0 cm with karabiner. A elegantly chain A heavy chain for men and women..
Curb Chain lenght 75,0 cm with karabiner. A elegantly chain A heavy chain for men and women..
Curb Chain lenght 95,0 cm with karabiner. A elegantly chain A heavy chain for men and women..
Curb Chain lenght 85,0 cm with karabiner. 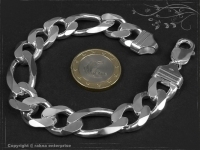 A elegantly chain A heavy chain for men and women..
Curb Chain lenght 60,0 cm with karabiner. A elegantly chain A heavy chain for men and women..
Curb Chain lenght 65,0 cm with karabiner. A elegantly chain A heavy chain for men and women..
Curb Chain lenght 55,0 cm with karabiner. A elegantly chain A heavy chain for men and women..
Curb Chain lenght 50,0 cm with karabiner. A elegantly chain A heavy chain for men and women..
Curb Chain lenght 45,0 cm with karabiner. 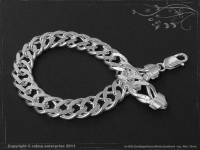 A elegantly chain A heavy chain for men and women..